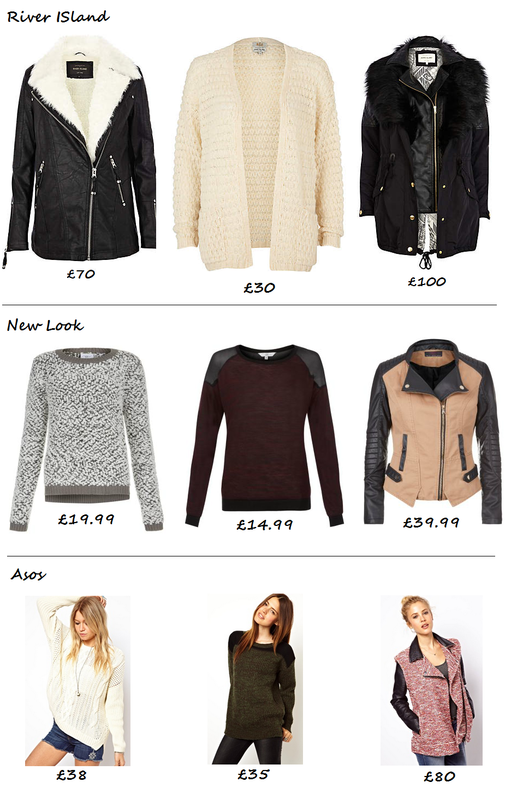 So recently I have been so excited for autumn/winter, especially after Wednesdays blogger chat on Twitter! I just can't wait to wear jumpers, coats, hats, scarves and lots of cosy things. I've been doing a bit of window shopping online (and trying super hard not to spend loads of money!) so I thought I would put together a bit of a wishlist. This wishlist is obviously just jumpers and jackets but I may do other winter wishlists such as boots or bottoms. My favourite item is probably the Asos pink/red coat, I love the fabric contrast and the colour! What's your favourite item from this wishlist?